Home » Ben Greenfield: How To Fall Asleep Faster, Stay Asleep, Nap Efficiently, Beat Migraines & More. 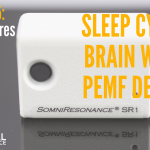 Several weeks ago, I published an article entitled “A Tiny, 1/2 Ounce Piece Of Game-Changing Sleep Technology (And How To Use PEMF For Sleep)“. In that article, I introduced a brand new device called the SomniResonance® DeltaSleeper (affectionally known as the “SR1”) that am now placing on my collarbone each night before I go to sleep and also using if I wake up in the night, and even using for naps and on airplanes. The results have been nothing less than astounding. My sleep “efficiency”, as measured by the Oura sleep tracking device, has jumped from 81% up to 97%. 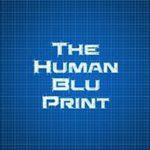 I have gone from an average of 52 minutes of wake time during a night of sleep down to 28 minutes. My deep sleep has risen from 33 minutes per night to 2 hours and 22 minutes. My sleep latency (how long it takes to fall asleep) has gone from an average of 16 minutes down to a super-fast 7 minutes. My heart rate during a night of sleep has dropped from 39 beats per minute down to 36 beats per minute. Marc Pro – The leading electro-stimulation devices on the market and Ben’s recovery tool of choice. Use code BEN for 5% off the Marc Pro or Marc Pro Plus system. Aloha.com – Go to Aloha.com/Ben and get a free trial of their delicious, whole-food, plant-based protein powder. Linwoods Health Foods – Use code GREENFIELD20 to receive 20% off Linwoods’ healthy blends of cold-ground seeds, nuts and berries. Do you have questions, comments or feedback about the DeltaSleeper SR1 device? Leave your thoughts below and either Michael or I will reply, and you want to try the SR1 for yourself, simply click here and use 5% discount code “Greenfit10” (works in both USA and Canada). Due to extremely high demand for the DeltaSleeper, the adhesives used to place it on collarbone (or other areas of your body) are on backorder until early June. But fret not, we have found an alternative adhesive that is very budget-friendly and works just as well. You can cut these in 3 or 4 pieces and really stretch your adhesive budget. As of 4-22-16, the DeltaSleeper is now shipping to the following countries: Canada, Australia, Austria, Belgium, Bulgaria, Croatia, Cyprus, Czech Republic, Denmark, Estonia, Finland, France, Germany, Greece, Hungary, Ireland, Italy, Latvia, Lithuania, Luxembourg, Malta, Netherlands, Poland, Portugal, Romania, Slovakia, Slovenia, Spain, Sweden, United Kingdom, Switzerland and New Zealand. Please inquire with michael@deltasleeper.com regarding import of the SR1 sleep device and mention Ben Greenfield to get your discount.